Since there's no system installed on your roof, you don't need to worry about maintenance. There is no added cost because taxes, insurance, and electrical inspections are eliminated. 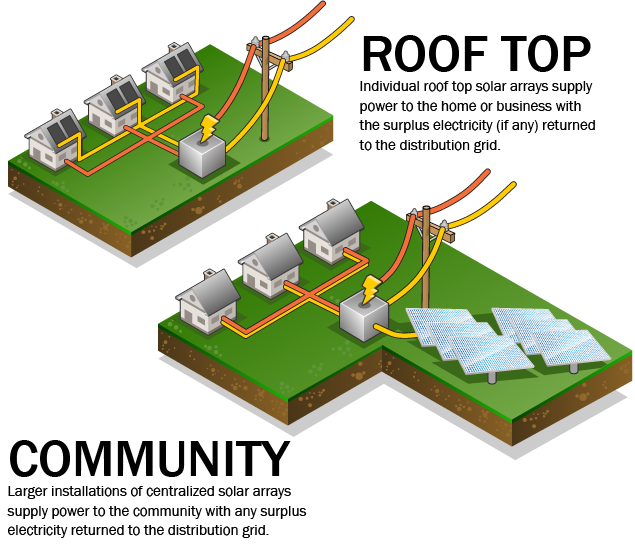 Community solar takes advantage of economies of scale, which allows for more efficient and economical energy generation. Rooftop solar systems typically require a sizable upfront investment to cover the cost of installation. Exclusions are lighting accounts and customers who already have their own generation. Minimum program length is one month. Customers are allowed to exit the program at any time after the one month period. A $50 refundable enrollment fee is credited back to the account on the 3-year anniversary date of enrollment. 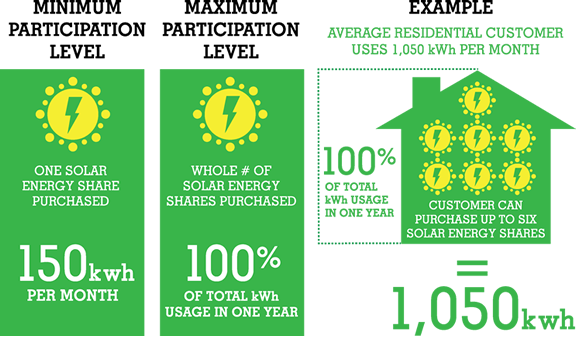 Customers can move to another address within their community and keep their community solar shares. Participation will be terminated upon relocation out of the community. Shares are not transferable to other customers, family or friends.